Here is a very interesting corporate agreement to cultivate the health of your family! 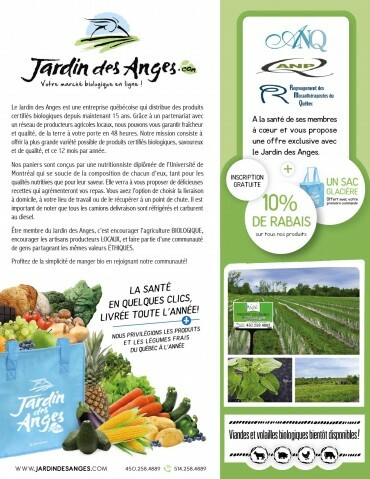 The RMQ joined the Jardin des Anges to offer you an attractive offer. Check if you are part of the delivery area or see if your area is in development!